Check out the details and the trailer for Playground. A provincial town in Poland. The final day of school. A seemingly normal day in life of three ordinary elementary school students. This day however eventually culminates in shocking and terrifying events. 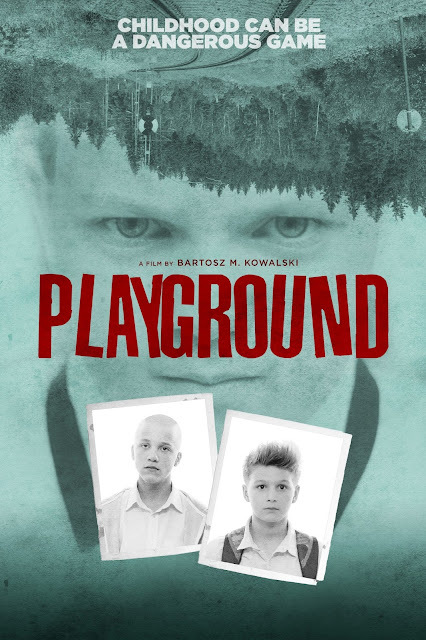 Uncork’d Entertainment releases terrifying true story The Playground on VOD 12/8. From writer-director Bartosz M. Kowalski comes a disturbing and captivating portrait of teen violence that’s taken the world by storm. Final day of school in a small Polish town. It's the very last chance for 12-Year-Old Gabrysia to tell her classmate that she had fallen in love with him. She sets up a secret meeting and blackmails her love interest to show up. But what was supposed to be an intimate talk spins out of control and this seemingly normal day in life of three ordinary elementary school students culminates in shocking and terrifying events. The Playground on VOD 12/8 from Uncork’d Entertainment.